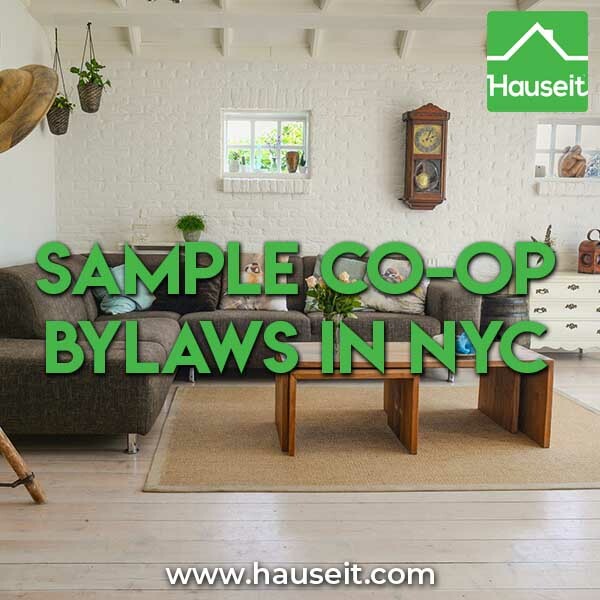 What do sample co-op bylaws in NYC look like? Just how onerous are the bylaws and how much power does the co-op board have? Is the sublet policy in the co-op bylaws? The sublet policy can typically be found in the bylaws as you can see from the sample co-op bylaws we’ve included below. Co-op boards have an enormous amount of power over their resident shareholders as you can see from the sample co-op bylaws in NYC we’ve included below. They have the power to change or eliminate the bylaws, House Rules and sublet policies at any time. Please remember that contrary to condo and other real property forms of ownership, co-op apartment owners hold shares of a housing cooperative corporation which typically owns the building. The shareholders elect a board of directors which functions much like the board of a regular business corporation. When buying a co-op in NYC, an experienced buyer’s agent will advise you to carefully read through the co-op bylaws so you’ll know exactly when and how elections for the board of directors are held, what fines can be levied against shareholders and what the sublet policy is like. SECTION 1. Annual Meetings. The annual meeting of Stockholders of the Corporation shall be held in the month of November of each and every year at a place and on a day and hour to be designated by the Board of Directors, for the election of Directors and the transaction of such other business as may properly come before the meeting. Written notice of the annual meeting shall be mailed or given personally to each Stockholder entitled to vote, at such address as appears on the stock book of the Corporation not less than ten, nor more than forty, days prior to the date of the meeting, but at any meeting at which all Stockholders shall be present, or at which all Stockholders not present have waived notice in writing, notice as above specified shall not be required. SECTION 2. Special Meetings. Special meetings of the Stockholders, for any purpose or purposes, may be called at any time by the President and shall be called by the President or Secretary at the request in writing of a majority of the entire Board of Directors, or at the request in writing of 25% of the Stockholders who shall require the Secretary or other Officer of the Corporation to give notice of such meeting. The time, date and place of a special meeting called by the Stockholders shall be set by the Board of Directors, such meeting to be held within forty-five days of the request in writing being received by the Secretary. Written notice of such meeting, setting forth the time and place of the holding of such meeting and the object thereof, shall be mailed or given personally to each Stockholder entitled to vote, at such address as appears on the stock book of the Corporation not less than ten nor more than forty days prior to the date of the meeting, but at any meeting at which all Stockholders shall be present, or at which all Stockholders not present have waived notice in writing, notice as above specified shall not be required. SECTION 3. Quorum. The presence at the meeting of at least one third of the Stockholders of the Corporation entitled to vote shall be necessary to constitute a quorum; but a lesser number may adjourn the meeting from time to time, without notice other than an announcement at the meeting, until the requisite number of Stockholders shall be present. SECTION 4. Voting. At all meetings of the Stockholders, all questions, the manner of deciding which is not specifically regulated by statute, shall be determined by a vote of the majority of the Stockholders present at the meeting. Every holder of capital stock of the Corporation shall be entitled to one vote regardless of the number of Shares held by such Stockholder. For this purpose, all joint or common holders of the same Shares shall be deemed to be one Stockholder. All voting shall be by secret ballot except as otherwise prescribed by statute, or directed by the Board of Directors. SECTION 1. Number and Term of Office. The number of Directors shall be eleven. Directors shall be elected for terms of three years on a staggered basis so that in one year three Directors shall be elected and in two years four Directors shall be elected. Vacancies occurring on the Board that are filled at a meeting of Stockholders shall be filled for the remainder of the three year term(s) for which the Director(s) who left the Board was (were) elected. The candidates receiving the most votes at each annual meeting shall be deemed elected to the full three year term to be filled at the annual meeting and the candidates receiving the next most votes shall be deemed elected, respectively, to any two year and/or one year portion of an unexpired term to be filled. Except as expressly provided elsewhere in these Bylaws, all Directors shall serve until their successors are elected and qualify. SECTION 2. Qualifications. (a) Directors must be Stockholders. Only one of two or more co-holders of the same Shares of Stock of the Corporation may serve on the Board of Directors at any given time. No employee of the Corporation or a relative of an employee, as defined in subsection (b) of Section 2, may be a Director. No Stockholder who is in arrears in an amount equivalent to base maintenance charges for two or more months as shown on the books and records of the Corporation at the time of the annual Stockholders’ meeting shall be eligible to run for or serve on the Board of Directors. No commercial or professional tenant of the Corporation who is a Stockholder of the Corporation, no person living in such Stockholder’s apartment and no Stockholder who has an interest of any kind whatsoever in any entity that is a commercial or professional tenant of the Corporation or is living in such Stockholder’s apartment shall be eligible to run for or serve on the Board of Directors. Every person elected as a Director of the Corporation, in order to qualify and serve as a Director, must have been a resident Stockholder of the Corporation, as shown on the books and records of the Corporation, for at least two years immediately preceding the date of his or her election as a Director. (b) As used in this Section of the Bylaws, the term “relative” or “relatives” shall mean spouse, parents, stepparents, parents-in-law, children, including adopted children, stepchildren, sisters, brothers, sisters-in-law, brothers-in-law, grandparents, spouse’s grandparents, aunts and uncles by blood or marriage, nephews and nieces by blood or marriage and first cousins by blood or marriage. SECTION 3. Election Procedures. The President, with the concurrence of the Board, shall appoint an Election Committee consisting of members of the Board of Directors not seeking election or reelection to the Board at the Stockholders meeting for which the Election Committee was appointed. The Election Committee shall establish election procedures and shall notify the Stockholders of the procedures at least forty five (45) days before the Stockholders’ meeting. A Stockholder who wishes to run for the Board of Directors shall have thirty (30) days from the date of the foregoing notice to declare his or her candidacy. Such declaration shall be in writing and shall accord with the Election Committee’s procedures. If the number of candidates who have declared their candidacy in the foregoing manner and who have not withdrawn as of the date of the Stockholders’ meeting is at least one more than the number of positions on the Board of Directors to be filled at the Stockholders’ meeting, further nominations shall not be permitted after the expiration of said thirty (30) day period or at the meeting. SECTION 4. Vacancies. Any vacancy occurring on the Board of Directors by reason of death, resignation, removal, increase in the number of members constituting the full Board of Directors, or otherwise, may be filled by a majority vote of the remaining Directors, provided that notice of the proposal to fill the vacancy is set forth in the notice of meeting, unless such remaining Directors are not sufficient to constitute a quorum, in which case a special meeting of the Stockholders shall be called, and such number of Directors shall be elected as may be necessary to constitute the full membership of the Board. A Director elected by the Board of Directors to fill a vacancy shall hold office until the next meeting of the Stockholders at which the election of Directors is in the regular course of business, and until his or her successor has been elected and qualified. SECTION 5. Meetings. Meetings of the Board of Directors may be held at any time upon call of the President, the Vice-President, or any two members of the Board. Such meetings shall be held in the City of New York, except as otherwise determined and fixed from time to time by the Board of Directors. SECTION 6. Notice of Meetings and Waiver of Notice. Notice of each meeting, stating the time, place and objects thereof, shall be given to each Director by mailing a copy of such notice addressed to each Director at the Director’s last known post office address at least forty-eight (48) hours before such meeting, or by telecopier, electronic mail or delivery under the apartment door, or in person, to each Director at least twenty-four (24) hours before such meeting. Notice may be waived in writing by any Director. Any meeting may be validly held without notice, at which every Director shall be present, or if those Directors who are absent shall waive notice. SECTION 7. Quorum. A majority of the members of the Board of Directors shall constitute a quorum, and a majority of the members in attendance at any meeting of the Board shall, in the presence of a quorum, decide its action. In the absence of a quorum, those Directors present at any meeting may adjourn to a later date but may not transact any other business. SECTION 8. Removal of Director by Board. A two-thirds vote of the entire Board of Directors, at a special meeting held for that purpose, may remove a Director who (a) has committed a material violation of his or her Proprietary Lease (not cured after notice), (b) is in arrears in an amount equivalent to base maintenance charges for two or more months as shown on the books and records of the Corporation, (c) has failed to attend three consecutive Board of Directors’ meetings or any four (4) such meetings between two consecutive annual meetings of the Corporation, except for good cause, or (d) is in violation of these Bylaws, which violation has not been cured after notice, after giving the Director an opportunity to show cause at the meeting as to why he or she should not be removed as a Director of the Corporation. Notice of the proposed removal must be set forth in the notice of the meeting. SECTION 9. Executive Committee. The Board may appoint from among its members an Executive Committee, consisting of not less than three Directors at any time. Any vacancy occurring in the Executive Committee shall be filled by the Board of Directors. The Executive Committee shall exercise such powers and perform such duties as the Board of Directors from time to time shall prescribe and as shall be permitted by law. The Executive Committee may fix its own rules of procedure, but in every case the presence of a majority shall be necessary to constitute a quorum, and a majority of the members in attendance at any meeting of the Executive Committee shall, in the presence of a quorum, decide its action. In the absence of a quorum, those members of the Executive Committee present at any meeting may adjourn the meeting to a later date but may not transact any other business. The Executive Committee shall keep a record of all its proceedings and shall report the same to the Board of Directors, at the next ensuing meeting of the Board of Directors. SECTION 10. Other Board Committees. The President, with the concurrence of the Board, may, from time to time, appoint from among the Board’s members other committees with such powers and duties as the President shall determine. SECTION 11. Other Committees. In addition, the Board may, from time to time, appoint other committees composed of Stockholders of the Corporation or establish election procedures for other committees, all of which shall have such powers and duties as the Board shall, from time to time, determine. SECTION 12. Duties and Powers. The Board of Directors shall have entire charge of the property, interests, business and transactions of the Corporation, and may adopt such rules and regulations for the conduct of its meetings and management of the Corporation as it may deem proper, not inconsistent with law, the Corporation’s Certificate of Incorporation or these Bylaws. SECTION 13. Compensation. No Director may at any time be paid or receive funds or any other thing of value of or through the Corporation for any services rendered to the Corporation as a Director, or in any other capacity, except for legally reimbursable out-of-pocket expenses incurred in performance of the duties of Director, and except as provided in Article VIII, Section 1 of these Bylaws. SECTION 1. Election. The Board of Directors, at its first meeting after the election of Directors in each year, shall elect from its number a President, and shall also elect a Vice-President, a Secretary and a Treasurer. It may elect an Assistant Secretary and an Assistant Treasurer, and such other Officers as in its discretion the needs of the Corporation may from time to time require. SECTION 2. Term of Office. All Officers of the Corporation shall hold their respective offices during the pleasure of the Board of Directors, and any vacancy occurring in the office of the President, Vice-President, Treasurer or Secretary or any other office shall be filled by the Board of Directors. SECTION 3. President. The President shall preside at all meetings of the Board of Directors, and shall act as Chairman at, and call to order, all meetings of the Stockholders. Subject to the supervision and direction of the Board of Directors and the Executive Committee, the President shall have the general management of the affairs of the Corporation and perform all the duties incidental to the President’s office. SECTION 4. Vice-President. The Vice-President shall in the absence, disability or incapacity of the President, have the powers and perform the duties of the President, and shall have, as well, those powers and duties which the Board of Directors may assign to the VicePresident from time to time. SECTION 5. Secretary. The Secretary shall keep the minutes of the meetings of the Directors and Stockholders, shall attend to the serving of notices of the meetings of the Directors and Stockholders, shall affix the seal of the Corporation to such certificates, documents and papers as may require it, except that from time to time the Board of Directors may direct such seal to be affixed by any other Officer or Officers, shall have charge of the stock certificate book and of such other books and papers as the Board of Directors may direct, shall attend to such correspondence as may be assigned to the Secretary, and shall perform all the other duties incidental to the office and those which the Board of Directors may from time to time designate. SECTION 6. Treasurer. The Treasurer shall be the Chief Financial Officer of the Corporation and shall have the care and custody of all the funds and securities and other tangible assets of the Corporation and shall deposit the same in the name of the Corporation in such bank or banks as the Directors may designate. The Treasurer shall perform any and all duties incidental to the office of Treasurer, and such other duties as shall from time to time be assigned by the Board of Directors or by the President. The Treasurer may at the same time hold the office of Secretary or Assistant Secretary, but may hold no other office in the Corporation. SECTION 7. Assistant Secretary and Assistant Treasurer. The Assistant Secretary and Assistant Treasurer shall, respectively, in the absence, disability or incapacity of the Officer to whom such Officer is an assistant, have the powers and perform the duties of such Officer, and shall perform such other duties as may be assigned to them from time to time by the Board of Directors. SECTION 8. Other Officers. Other Officers shall perform such duties and have such powers as may be assigned to them from time to time by the Board of Directors. The Corporation shall operate as a cooperative and, in accordance therewith, if, after payment of all obligations, expenses, taxes and assessments, or after making suitable provision therefor, there shall be excess revenues, then the Corporation’s Board of Directors shall pay or allow, in such manner or in such form as is from time to time determined by the Board of Directors, a rebate or rebates of rent to each Lessee, in proportion to the rental payments made by such Lessee during the period in respect of which such rent rebate or rebates are allowed or paid. The manner or form of such rebates may include rebates in the form of a reduction of or credit against the Lessee’s future rent obligations. The monthly rentals paid by the Lessees shall be deemed to be payment on account of their annual rental obligation, which shall be finally determined by the Board of Directors in the light of each year’s operating experience. Checks, notes, drafts and orders for the payment of the money and obligations of the Corporation, and all contracts, mortgages, deeds, and other instruments, except as otherwise in these Bylaws provided, shall be signed by such Officer, Officers, individual or individuals as the Board of Directors may from time to time designate. SECTION 1. Certificates. Certificates of stock shall be numbered and issued in consecutive order, shall be signed by the President or the Vice-President, and by the Secretary or an Assistant Secretary or the Treasurer or an Assistant Treasurer, and sealed with the seal of the Corporation and the name of the person or persons owning the Shares represented by each certificate, the number of such Shares and the date of issue shall be entered in the appropriate books of record of the Corporation. All certificates exchanged and returned to the Corporation shall be marked “Cancelled,” with the date of cancellation, by the President, a Vice-President, the Secretary or the Treasurer, and shall be filed among the corporate records of the Corporation. “The rights of any holder hereof are subject to the provisions of the Bylaws of the Corporation as amended from time to time, and to all the terms, covenants, conditions, and provisions of a certain Proprietary Lease made between the person(s) in whose name(s) this certificate is issued, as Lessee, and the Corporation, as Lessor, for an apartment in the premises owned by the Corporation in New York, New York, which Bylaws and Proprietary Lease limit and restrict the title and rights of any transferee hereof. The shares represented by this certificate are transferable only as an entirety and only to an assignee of the Proprietary Lease approved by the Board of Directors of the Corporation. Copies of the Bylaws of the Corporation and of the Proprietary Lease are on file and available for inspection at the offices of the Corporation. SECTION 3. Transfers of Shares. (a) As used in this Article VI the words “Shares of Stock” and “Shares” shall include any interest in the Corporation (including but not limited to capital stock and income indebtedness certificates issued by the Corporation), and the words “Stockholders” and “Stockholder” shall include the owner or holder of any such interest. (b) Transfers of Shares of Stock of the Corporation shall be made only on the books of the Corporation by the holder, in person or by power of attorney, on surrender of the certificate for such Shares. (c) Transfers of Shares of Stock of the Corporation shall be made only to the holder of, or to an assignee or distributee of, the Proprietary Lease accompanying said Shares, and provided that the transfer, assignment, or distribution to such leaseholder, assignee, or distributee shall fully comply with the restrictions and conditions contained in these Bylaws and in the Proprietary Lease with respect to assumption, transfer, or assignment thereof. (d) No transfer of Shares shall be valid as against the Corporation, its Stockholders, or its creditors for any purpose until it shall have been entered in the stock book of the Corporation by an entry showing from whom and to whom the Shares were transferred and the date of said transfer. Transfers of Shares shall be made only upon the stock book of the Corporation by the holder of record in person, or by power of attorney, duly executed and witnessed and filed with the Secretary of the Corporation and on the surrender of the certificate for such Shares, except that Shares sold by the Corporation to satisfy any lien which it holds thereon may be transferred without the surrender of such certificate. (e) In the event that any stock certificate is lost, stolen, destroyed, or mutilated, the Board of Directors may authorize the issuance of a replacement certificate. Before issuance of such replacement certificate, the Board may require the owner of the lost, stolen, destroyed, or mutilated certificate, or the legal representative of such owner, to make an affidavit or affirmation setting forth such facts as to the loss, theft, destruction, or mutilation as the Board deems necessary, and may require said owner or legal representative of such owner to give the Corporation a bond in such reasonable sum as the Board directs, and to execute an agreement holding the Corporation harmless for the issuance of said replacement certificate. (f) The Board of Directors shall have the authority to fix by resolution and to collect, before any transfer or assignment of a Proprietary Lease (in fee or as collateral for a loan) takes effect as against the Corporation as Lessor, reasonable fees to cover the Corporation’s expenses and attorneys’ fees in connection with such proposed transfer or assignment. (g) Anything herein contained to the contrary notwithstanding, no Shares in this Corporation shall at any time be sold, assigned, alienated or transferred in any respect whatsoever by any Stockholder of the Corporation unless the Stockholder at the same time transfers as a unit all Shares owned or held by the Stockholder at that time allocated to the apartment being sold, assigned, alienated or transferred. (h) If, in any case, the retiring Stockholder, after becoming bound to sell, convey or transfer said Shares of Stock to this Corporation, defaults in transferring said Shares, the retiring Stockholder’s Proprietary Lease shall automatically terminate on the date of default, this Corporation shall hold the purchase money to which the retiring Stockholder is entitled under this Article VI in trust for the retiring Stockholder, or the retiring Stockholder’s executors, administrators or assigns and shall substitute the name of the Corporation upon the books of the Corporation in place of the name of the retiring Stockholder. After the name of the Corporation has been entered on the books of the Corporation in the exercise of the aforementioned powers, the validity of the proceedings shall not be questioned by any person, and the Corporation shall be deemed and taken to be the owner of such Shares. (i) Anything herein contained to the contrary notwithstanding, no Shares in the Corporation shall at any time be sold, assigned, alienated or transferred in any respect whatsoever by any Stockholder of the Corporation unless such sale, assignment, alienation or transfer shall have been authorized by written resolution of the Board of Directors. SECTION 4. The Reconstitution Date. The Reconstitution Date, as said term is used herein, is March 15, 1987. SECTION 5. Transfer Fees. (a) Pursuant to the authority conferred by Article 3, Section 8 of the Proprietary Lease, every sale (defined to include all transfers, whether by sale, gift, bequest or otherwise, except transfers which are expressly excluded in this Section) of Shares of Stock in the Corporation shall be subject to payment by the seller to the Corporation of a transfer fee determined as set forth below. Full payment of the transfer fee shall be a precondition to the Corporation’s obligation to permit and effectuate the transfer of any Shares that are sold. (b) For the first sale of any apartment after reconstitution, the transfer fee shall be 20% of the gross sales price. (c) For the second sale of any apartment after reconstitution and all subsequent sales of the apartment, the transfer fee shall be 5% of the gross sales price regardless of when the sale occurs. (d) On all sales or transfers as to which a transfer fee is to be paid, in no event shall the transfer fee be less than a minimum transfer fee. The minimum transfer fee shall be calculated as if the shares were sold for the applicable Minimum Transfer Fee Sale Price(s) set forth on Schedule A annexed hereto and made a part hereof. The calculation shall be done by multiplying the applicable Minimum Transfer Fee Sale Price for the applicable type of apartment by the transfer fee rate that applies to the sale as per paragraphs (b) and (c). If any of the apartments involved in the exchange was previously sold after reconstitution in a transfer subject to the first sale transfer fee, then the first sale of such apartment after the exchange shall be deemed to be the second or subsequent sale of that apartment after reconstitution for the purpose of calculating the transfer fee due on such sale. (f) Bequests and bona fide gifts by tenant-stockholders to members of their immediate family are exempt from the transfer fee, but, if the apartment bequeathed or given had not been previously sold after reconstitution, the first sale of the apartment by the tenant-stockholder(s) who receive the bequest or gift shall be deemed to be the first sale of the apartment after reconstitution for the purpose of calculating the transfer fee due on such sale. Immediate family for this purpose shall consist of the tenant-stockholder’s spouse (which term includes any person entitled by law to be treated as a spouse), children, grandchildren, parents, grandparents, brothers and sisters. (g) Nothing herein, including the amendment of this Section 5, shall in any manner preclude the Corporation from enforcing its rights with respect to the collection of transfer fees which were deferred in whole or in part under the provisions of this Section 5 as it existed prior to the said amendment at the transfer fee rates and pursuant to the transfer fee provisions that were in effect from time to time prior to the said amendment. (c) for a period of five years commencing on the Reconstitution Date, the provisions of this Article VI, Section 6 of these Bylaws may not be amended. SECTION 7. Definition of Affiliated Cooperative. For the purposes of Sections 4, 5 and 6 of this Article VI, the term “Affiliated Cooperatives” shall mean a group of cooperatives consisting of (i) the cooperative owned and operated by the Corporation, (ii) the cooperative owned and operated by Hillman Housing Corporation (if that corporation has reconstituted as a corporation organized under the Business Corporation Law and has adopted Bylaws similar to said Sections 4, 5 and 6) and (iii) the cooperative owned and operated by Seward Park Housing Corporation (if that corporation has reconstituted as a corporation organized under the Business Corporation Law and has adopted Bylaws similar to said Sections 4, 5 and 6). Notwithstanding the foregoing, from and after February 1, 2006, the term “Affiliated Cooperatives” shall mean the cooperative owned and operated by the Corporation and the cooperative owned and operated by Hillman Housing Corporation. SECTION 8. The Corporation’s Right of First Refusal. (a) No Transfer If Corporation Willing to Purchase Shares. No Shares shall at any time be Transferred in any manner or respect whatsoever, whether voluntarily or involuntarily, by operation of law or otherwise, by any Transferor, whether such Transfer shall be made by reason of a contract of sale or any other Transfer, as defined in subparagraph (b)(3) of this Section 8, in any circumstances, consensual or forced, to any Purchaser, so long as the Corporation is willing to purchase such Shares at the Price for which the Transferor proposes to Transfer the Shares. (4) the term “Transferor” shall include but not be limited to any one or more of (i) the Stockholder, (ii) the Corporation, (iii) any secured party with respect to the Shares, (iv) any holder of a lien on the Shares, (v) any creditor or judgment or other lien creditor of any Stockholder, and (vi) any person or entity that shall be a successor in interest to any such Stockholder or to any such creditor or other party described above (including as such a successor in interest to any Stockholder, but not limited to, the Corporation and any assignee, pledgee and/or other holder of the Shares as security). (ii) a Stockholder’s giving a security interest in, and/or making an assignment of, Shares in good faith solely as security for a loan, guaranty or other extension of credit actually made; provided, however, that, nonetheless, such provisions of subsection (a) of this Section 8 and the term “Transfer” shall apply to any sale, disposition or other Transfer by the assignee of or holder of a security interest in such Shares. (d) Requirements for Contract of Sale and Other Sale Documents; Provisions Automatically Deemed Incorporated. The contract of sale and/or any and all other documents that, alone or in combination with other documents, obligate or provide for Transferor(s) and Purchaser(s) to effectuate a Transfer of Shares, including but not limited to any pledge agreement, security agreement, notice of public or private sale or auction, judgment, execution, terms of sale, assignment for the benefit of creditors, and each and every arrangement and/or agreement whether or not in writing, whether consensual, voluntary, involuntary, forced, by operation of law, or otherwise, for the Transfer of Shares, including those between the Transferor(s) and Purchaser(s) (collectively and separately, the “Sale Documents”), shall expressly provide that (i) the Sale Documents and the Transfer are subject to the approval of the Corporation’s Board of Directors and (ii) the Sale Documents and the Transfer contemplated by such Sale Documents are subject to the Corporation’s right of first refusal to purchase such Shares. In the event that any such Sale Documents shall not expressly contain the provisions set forth in this Section 8(d)(i) and (ii), then such Sale Documents shall automatically be deemed to contain such provisions (d)(i) & (ii) and to incorporate by reference this Article VI, Section 8, of the Corporation’s Bylaws as if fully set forth therein. (e) Notice of Proposed Transfer. In order to ascertain whether the Corporation is willing to purchase any Shares, the Transferor(s) and Purchaser(s) shall execute a Notice That a Contract of Sale Has Been Entered Into (the “Proposed Transfer Notice”) on the form prescribed by the Corporation. Such Proposed Transfer Notice shall be submitted to the Corporation with and as part of any application for the Corporation’s approval of the Transfer of the Shares but the effective date of the Proposed Transfer Notice shall be deemed to be the date on which the Corporation issues to the parties its notice that the application package is complete (the “Application Complete Notice”) and that all required credit checks, background checks and home inspections have been completed (such date, the “Effective Date”). Notwithstanding the foregoing, if the Corporation shall be the Transferor, then only the Purchaser(s) shall be required to execute such Proposed Transfer Notice and the Corporation shall issue the Application Complete Notice, if applicable, to the Purchaser(s) only. (f) Exercise of Right of First Refusal. If the Corporation, within a period of thirty (30) days after the Effective Date of the Proposed Transfer Notice, as set forth in Section 8(e) above, shall give notice in writing to the Transferor(s) and Purchaser(s) of its exercise of its right of first refusal and that it is ready and willing to purchase the Shares (the “Corporation’s Exercise Notice”), then the Sale Documents shall be deemed cancelled and the Transferor(s) shall be bound, within thirty (30) days after the Corporation’s Exercise Notice shall have been given (or within such additional reasonable period of time as the Corporation in its discretion shall specify by further written notice to the Transferor(s) given before the expiration of such thirty (30) days), to transfer the Shares to the Corporation upon receipt by the Transferor(s) of the price set forth in the Sale Documents, less the applicable fees set forth in Article XIV of these Bylaws and the transfer fee set forth in Section 5 of this Article VI. Notwithstanding the foregoing, if the Corporation shall be the Transferor, the Corporation shall give such Corporation’s Exercise Notice, if any, to the Purchaser(s) but it shall not be necessary for the Corporation to give to itself any notice provided for in this Section 8(f). (g) Transfer if Right of First Refusal Not Exercised. Upon expiration of thirty (30) days after the Effective Date of the Proposed Transfer Notice, or sooner, if approved by the Board and if the Corporation has not issued the Corporation’s Exercise Notice, the Transferor(s) shall, subject to the approval of the Board of Directors, have the right to sell such Shares to the Purchaser(s) for a price not less than the Price set forth in the Sale Documents, but such Shares shall not be transferred on the books of the Corporation to the Purchaser(s) unless the Transferor(s) shall first pay to the Corporation the fees and charges set forth in Article XIV of these Bylaws and the transfer fee set forth in Section 5 of this Article VI. (h) Notices Applicable to This Section 8. Except for the Proposed Transfer Notice (which shall be delivered to the Corporation as part of an application for the Corporation’s approval of the Transfer of the Shares, as provided in Section 8(e)), notices provided for in this Section 8 shall be given in writing by certified mail, return receipt requested or by reputable national overnight courier or overnight mail service (an “Overnight Service”), such as Federal Express, UPS and U.S. Postal Service Express Mail, and shall be deemed issued and/or given, if sent by the Corporation, when duly mailed or placed in the custody of such service for delivery. SECTION 1. The Corporation shall indemnify all past, present or future Directors and Officers (or their estates or heirs) made, or threatened to be made, a party to any civil or criminal action or proceeding of any type, or any administrative proceeding or arbitration of any type, in any jurisdiction (a) alleging any act, failure to act, omission, neglect, error, misstatement, misleading statement or breach of duty, as such duty is defined in Section 717 of the Business Corporation Law of the State of New York (the “BCL”), in their capacities as Directors, Officers or employees of the Corporation or in the service, in any capacity, of any other legal entity at the direction or request of the Corporation, or (b) brought against them by reason of their status as Directors or Officers of the Corporation or by reason of their service, in any capacity, of any other legal entity at the direction or request of the Corporation, to the full extent permitted by law. Such indemnification shall include, but shall not be limited to, (1) any indemnification permitted by Section 721 of the BCL or required or permitted by Sections 722726 of the BCL, as such Sections 721-726 may be amended or supplemented, or any successors thereto, and (2) the payment of attorneys’ fees, costs and expenses incurred by the past, present or future Directors or Officers of the Corporation (or their estates or heirs) in connection with any such civil or criminal action or proceeding, administrative proceeding or arbitration, including the advancement of any such payments during the pendency of any such civil or criminal action or proceeding, administrative proceeding or arbitration, to the full extent permitted by law. SECTION 2. The Corporation may indemnify (including the payment of attorneys’ fees, costs and expenses) all past, present or future Directors or Officers in any circumstances not provided for in paragraph 1 of this Article to the full extent permitted by law. SECTION 1. No contract or other transaction between this Corporation and any firm, association or corporation shall be affected or invalidated by reason of the fact that any one or more of the Directors of this Corporation is or are interested in, or is a director or officer of, or are directors or officers of, such other firm, association or corporation, and any Director or Directors individually, or jointly, may be a party or parties to, or may be interested in, any contract, act or transaction of this Corporation or in which this Corporation is interested, and no contract, act or transaction of this Corporation with any person, firm, corporation or association shall be affected or invalidated by the fact that any Director or Directors of this Corporation is a party or are parties to or interested in such contract, act or transaction, or in any way connected with such person, firm, corporation or association, or any of them, and each and every person who may become a Director of this Corporation is hereby relieved from any liability that might otherwise exist from contracting with this Corporation for the benefit of himself or herself or any firm, corporation or association in which he or she may be in any way interested, provided, that (i) the interest of the Director or Directors in the contract has been disclosed to the Board of Directors prior to its vote on the matter and (ii) the Board of Directors shall have approved such contract, before its execution, by a two-thirds vote of the entire Board with the interested Director or Directors not voting. Notice of intention to submit such contract to the Board for approval and of the interest of one or more Directors in such contract must be contained in the notice of meeting. SECTION 2. Officers and Directors of the Corporation cannot enter into oral or written contracts on behalf of the Corporation without (a) the approval of the Board of Directors or (b) in accordance with the authority expressly granted to them by resolution of the Board of Directors. All Officers, Directors, employees and agents of the Corporation having authority over the disposition of funds of the Corporation shall be bonded for fidelity, in amounts fixed from time to time by the Board of Directors, the cost of the bonds to be borne by the Corporation. The Corporation shall at all times have a lien upon the Shares of Stock owned by each Stockholder for all rent then due or to become payable by such Stockholder under the provisions of any Proprietary Lease issued by the Corporation and at any time held by such Stockholder and for all other indebtedness from such Stockholder to the Corporation and to insure the performance by the Stockholder of all the covenants and conditions of said Proprietary lease to be performed and complied with by the Stockholders. Unless and until such Stockholder, as Lessee, makes default in the payment of any such rent or other indebtedness or in the performance of any such covenants or conditions, said Shares shall continue to stand in the name of the Stockholder upon the books of the Corporation and the Stockholder shall be entitled to exercise the right to vote thereon. The Corporation shall have the right to issue to any purchaser of such Shares, upon the enforcement by the Corporation of such lien against a defaulting Stockholder, or to the nominee of such purchaser, a certificate for the Shares of Stock so purchased, and thereupon the certificate for such Shares issued to such defaulting Stockholder shall be surrendered to the Corporation on demand. SECTION 1. After a Proprietary Lease, in the form adopted by the Stockholders, has been executed and delivered by the Corporation, all Proprietary Leases (as distinct from the House Rules) subsequently executed and delivered shall be in the same form except with respect to the statement as to the initial rent, the number of Shares of Stock owned by the Lessee, the use of the premises, and the date of the commencement of the term, and shall only be changed as provided in the Proprietary Lease then in force. SECTION 2. The Board of Directors shall have the power to make, eliminate and change the House Rules set forth in the Proprietary Lease upon thirty (30) days prior written notice to the Stockholders. Such notice shall be posted conspicuously in the lobbies of the Corporation’s residential buildings and shall be delivered to the Stockholders under the doors of their apartments or by ordinary first class mail. The Board of Directors, upon the written request of the owner or owners of the Proprietary Leases covering more than one apartment and of the Shares issued to accompany the same, may, in its discretion, at any time, but subject to limitations (“Limitations”) set forth below, permit such owner or owners, at his, her or their own expense, to combine, into one apartment, two or more apartments that are contiguous to each other (“Contiguous Apartments”). For this purpose, Contiguous Apartments means, horizontally, apartments on the same floor in one building or in contiguous buildings that share a common wall or walls with one or more other such apartments, and, vertically, apartments on two adjacent floors in the same line in the same building, for which the floor of the upper apartment is in common with the ceiling of the lower apartment. The Limitations are that: (a) (i) the combination must meet Federal, State and City Building Codes, (ii) the extent of the combination must be limited to that which is reversible, so that the apartments may be restored to separate apartments, and (iii) the renovation work involved must first be approved by the Board of Directors, and (b) Contiguous Apartments on no more than two floors that are vertically contiguous in a single line in the same building may be combined into one apartment. When required, reallocation of Shares upon such combination of apartments shall be subject to approval by the Board of Directors of the Corporation. When so combined, the apartments shall be treated as one apartment for all purposes, including the right to vote at meetings of Stockholders. SECTION 1. Pursuant to the authority conferred by Article 3, Section 9 of the Proprietary Lease, the Corporation has adopted the following subletting policies: (a) All sublet arrangements are subject to prior written approval of the Board of Directors including review and approval by the Board of the proposed sublessee and all other proposed occupants of the apartment. A Stockholder may not sublet the Stockholder’s apartment during the first two years after the date on which the Stockholder acquires title to the shares of the apartment, and for the first two years after the date on which another person is added as a Stockholder for the apartment. (b) Sublets for less than one year are not permitted. Sublets may be permitted for one year, and may be renewed for subsequent one year renewal terms, with Board approval for each annual renewal, provided there have been no violations of the Lease by the Stockholder or by the subtenant. (c) A sublet fee will be charged to the Stockholder. Such sublet fee will be equal to (i) 100% of the maintenance payable by the Stockholder to the Corporation for each of the first and second sublet years, (ii) 112.5% of the maintenance payable to the Corporation for each of the third and fourth sublet years; and (iii) 125% of the maintenance payable to the Corporation for the fifth sublet year and for each subsequent sublet year. The sublet fee will be billed monthly and will be collectible as additional maintenance, and failure to pay the sublet fee as and when due shall entitle Lessor to all the remedies provided herein and at law or equity for such nonpayment of maintenance. (d) The Stockholder will remain responsible to the Corporation for all payments due to the Corporation and for any and all violations of the Proprietary Lease, House Rules or Bylaws and any and all violations of law, by any subtenant or occupant of or visitor to the apartment. 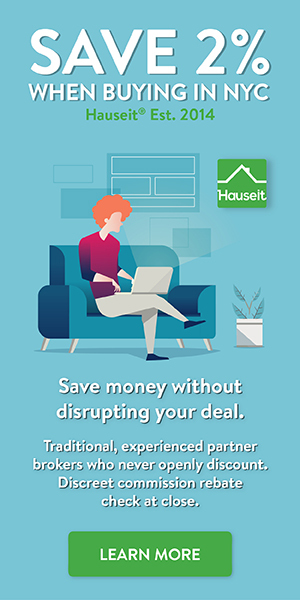 (e) No sublet that has been commenced or renewed without first obtaining the prior written approval of the Board of Directors will be approved after the fact. Any Stockholder who has entered into or who has renewed a sublet without first obtaining the prior written approval of the Board of Directors shall pay to the Corporation an amount equal to two times the total sublet fees for the entire period of the unauthorized sublet plus an additional amount equal to 25% of said total sublet fees, plus, if the unapproved sublet is for less than thirty (30) days, the additional sum of $250.00 per day, all upon such terms and conditions as are determined by the Board of Directors. In addition to the foregoing, such Stockholder shall not be permitted to sublet until the later of (i) the date on which all fees and sums due hereunder are fully paid to the Lessor, or (ii) the date which is one year after the unauthorized sublet has terminated as determined by the Board of Directors. (f) Permission to sublet an apartment will not constitute permission to sublet any parking space leased by the tenant-stockholder. SECTION 1. Expenses of Corporation Relating to Transfer. The Board of Directors shall have the authority to fix by resolution and to collect, before any assignment of a Proprietary Lease, or any reallocation of Shares, takes effect as against the Corporation as Lessor, reasonable fees to cover the Corporation’s expenses and attorneys’ fees in connection with such proposed assignment or reallocation, or both, as the case may be. SECTION 2. Transfer Fees. The Board of Directors shall have the authority to fix and collect, before permitting the transfer by sale, gift, intestacy or devise of any Shares, transfer fees in connection with such proposed transfers. Transfer fees shall be paid by the Stockholder at the time of transferring the Shares and the Proprietary Lease. Such transfer fees shall be as determined from time to time by the Board of Directors. SECTION 3. Subletting Fees. The Corporation may condition its consent to the subletting of any apartment, upon the payment by the Stockholder of subletting fees to the Corporation in an amount to be determined from time to time by the Board of Directors. SECTION 4. Loan Processing Fees. The Board of Directors shall have the authority to fix and collect, before permitting the pledging of Shares and the assignment of the Proprietary Lease as security for a loan, fees to be paid to the Corporation for processing Recognition Agreements for loans, reviewing related documents for approval, attending the closing of the loan transaction, and for the Corporation’s attorneys’ fees relating to the transaction. SECTION 1. Eligibility. Any Stockholder or co-Stockholder of record as of the date that this Corporation ceased being a Redevelopment Company, who was receiving benefits under the New York City Senior Citizens Rent Increase Exemption Program (“SCRIE Program”) immediately prior to said date, or who meets all the criteria for such benefits within two years after that date, shall be eligible to receive benefits under the Substitute SCRIE Program of the Corporation provided for in this Article XV for so long (i) the SCRIE program continues and (ii) such Stockholder or co-Stockholder meets all of the eligibility standards for the SCRIE program that would have been applicable if the Corporation had remained a Redevelopment Company. SECTION 2. Benefits. The Corporation shall advance, as credit against the value of the Stockholder’s or co-Stockholder’s Shares of Stock, whatever portion of the maintenance payments due from a Stockholder or co-Stockholder, eligible to participate under Section 1 of this Article XV, which is equal to the benefits that said Stockholder or co-Stockholder would have received under the SCRIE Program as a lessee or lessees from a corporation organized and existing under the Redevelopment Companies Law of the State of New York. SECTION 3. Advances to be Repaid with Interest Upon Sale of Shares. Upon the sale or transfer of the participating Stockholder’s and/or co-Stockholder’s Shares of Stock, all sums so advanced to the Stockholder or co-Stockholder under the Substitute SCRIE Program shall be repaid to the Corporation, with interest at such rate as shall, from time to time, be determined by the Board of Directors, provided that such interest rate shall not exceed the maximum rate permitted by law. SECTION 4. Security for Repayment of Advances, and Corporation’s First Lien on Shares. All Stockholders or co-Stockholders participating in the Substitute SCRIE Program shall execute an agreement with the Corporation, in such form as the Corporation shall require, setting forth the obligations of the Stockholders or co-Stockholders and the Corporation. The Corporation may file a UCC-1 Financing Statement in accordance with the provisions of the Uniform Commercial Code of the State of New York, or its equivalent, to perfect its security interests under this Article XV. Any other loan obtained by a Stockholder or co-Stockholder participating in the Substitute SCRIE Program, which shall use the Shares of Stock of the Corporation as collateral, shall be subject and subordinate to all sums advanced to the participating Stockholder or co-Stockholder under this Substitute SCRIE Program. Except as provided in Article VI, Section 6, these Bylaws may be amended or altered by an affirmative vote of a majority of the Stockholders voting at any meeting of Stockholders, if notice of the proposed amendment be contained in the notice of meeting, or by the affirmative vote of a majority of the entire Board of Directors at any meeting of the Board of Directors, if notice of the proposed amendment be contained in the notice of meeting, provided, however, that the Board cannot repeal, modify or amend any amendment of these Bylaws adopted by the Stockholders after the date of filing, with the Secretary of State, of the Certificate of Amendment to the Corporation’s Certificate of Incorporation pursuant to which this Corporation ceased to be a Redevelopment Company. The seal of the Corporation shall be circular in form and shall bear the name of the Corporation, the words “Corporate Seal,” the year of incorporation, and the words “New York”. (a) If there have been fewer than ten sales closed during said period for that type of apartment, then the Minimum Transfer Fee Sale Price shall be the average gross sale price of the number of sales closed for that type of apartment during the period. (b) If there have been no sales closed for that type of apartment during said period, then the Minimum Transfer Fee Sale Price shall be the figure set forth above for that type of apartment. (c) In no event, and notwithstanding the foregoing, shall the Minimum Transfer Fee Sale Price for any type of apartment be less than the figure set forth above for that type of apartment.